As reported last week, my muse's local seems to be on strike, and he's out walking the picket line (and hopefully gathering new stories for us to tell). I'm still conflicted about writing, though I am penciling in outline material on both Beyond the Rails IV and the Darklighters spinoff I set up in Book III. I don't know which, if either, might take off, or if anything ever will again, but while I wait, I'd like to present some material I put together for my writing.com blog yesterday. It was fun to assemble, and as I don't really have anything else to show for a week's rest, I'd like to share it with a few more folks here. We've heard a lot over the past week or so about budget battles, government shutdowns, and the trillions and trillions of dollars being thrown around like we're talking about some kid's allowance. Most people in the modern world have some idea of what a billion dollars is (if you don't, it's about 10% of an aircraft carrier), but a trillion dollars... We might be talking about the distance to the center of the galaxy for all that means to the average citizen, so I decided to do a bit of research and basic arithmetic, and see what a trillion might be compared to. Buckle up, you're going to love this! If Jesus had sued the Romans over his treatment at their hands, and the courts of the day had awarded him a billion shekels (or whatever they used back then) to be paid at the rate of one million per day, it would have taken them two-and-a-half years to finish paying him. If he had been awarded a trillion shekels, to be paid at the rate of one million per day, they would be paying him until the year 2739. Pretty amazing, huh? But I'm not finished yet, not by a long shot. Let's say you won the SuperLotto or a settlement for $1,000,000, and it's going to be handed to you in crisp new $1,000 bills, crisp and new so they lay close together with no air spaces making the stack fatter. How tall do you think that stack will be? If you guessed 6½ inches, we have a winner! If you win a billion dollars, you'd better bring a full-size pickup, because that stack will come in at 550 feet, about the same height as the Washington Monument. A trillion dollars? Ninety-five miles high. The International Space Station will have an excellent view of the tallest structure on earth as it comes over. One more? All right. I particularly enjoy this one. Approximately one billion seconds ago, John F. Kennedy was having his famous series of presidential debates with Richard Nixon; one trillion seconds ago, man was discovering fire. Okay, that was fun! That's all I have for you this week, so take it with you and dazzle your friends while I try to sort out whether I'm still a writer, and what I'm going to do with this blog if I'm not. You may have just gotten a sample, as I look to make it a Museum of the Weird. At least the name goes with anything, right? Play nice, look out for one another, and get out there and live life like you mean it! "The best-laid plans of mice and men are about equal." There's another old saying I just made up that goes, "You don't choose writing; writing chooses you." If that is true, and I believe it is, then it must be possible for writing to abandon you and move on in search of fresh new voices. I am convinced that that is what has happened to me, leaving me with 60 years of experience, and not the slightest interest in writing another word. After careful consideration of my likely future, I have decided to spend my writing time encouraging those fresh new voices to reach their full potential. This will take the form of reviews, and an occasional blog post discussing concepts and issues that have crossed my radar. I never thought this would be the final destination, but then, who among us can predict his own fate? Thus did I post on my Writing.com blog, Riding the Blimp, yesterday, because after all my big talk and big plans of the last couple of weeks, the "muse," whatever the hell that is, has deserted me again. The candle of interest keeps flickering, and the periods when I can't write are constantly becoming longer and deeper. I can only assume that it's going to get worse until the periods when I can write no longer exist at all. Rather than torture myself and the few followers I have left with promises of great things to come, I've closed the public window to my works in progress. There may still be times when I want to write, and the love of writing may return in full, but until it does, I'll be a supporter of the next wave; after all, leaving out my formative years, I had three decades to make my mark, and after those thirty years, there might be thirty people who know who I am. Time to welcome the next crop of talented new voices to the field. That just leaves the question of what I'm going to do with this blog. Photos? Anecdotes? Recipes? Confrontational political rants? Yeah, you know me better than that, but, speaking of butchered old sayings, here's a thought to take with you in these difficult times: A penny saved is a government oversight! Play nice, look out for one another, and live life like you mean it. I'll see you around the web! and if any is left, I buy food and clothes." Monday again already! For some this day is depressing, as their mind is focused on the return to the grind. Studies show that that dread doesn't translate into negativity. On the contrary, your best work of the week, based on a study of Redbook members, and 28,000,000 of their completed projects, is complete by 11:00 AM Monday morning, so rejoice! Today you will be performing your best work of the week. Of course, as a retiree, it's easy for me to be glib about this, but for 25 years before I retired, I was shift-working, dancing to a schedule created by a random number program. I'd work a couple of days, a couple of nights, then have a couple of days off. I was all over the clock and all over the calendar, so Mondays were "just another day" to me. But yes, I'd see the nine-to-five crew moping in every Monday morning, bemoaning the fact that they hadn't won the lottery or had a rich uncle die over the weekend, and it can really make you think about how you're spending your life. So if you have a job that fulfills you or is otherwise enjoyable, count your blessings and welcome Monday. And if you don't, well, you'll cheer up come payday! Okay, now that I've redefined the whole concept of "filler," let me get to the blog post. I got three scenes of Family Reunion written this past week, and a whole lot of outlining. This story is flying along like they did in the old days, and I cannot begin to tell you how thrilled I am with the progress, Monday or not! If I can hold to that pace, my incredible, fantastic, magnificently marvelous story for the ages should be complete and ready to read by late Febanary/early March, at which time I'll provide a link, and you can judge for yourselves. 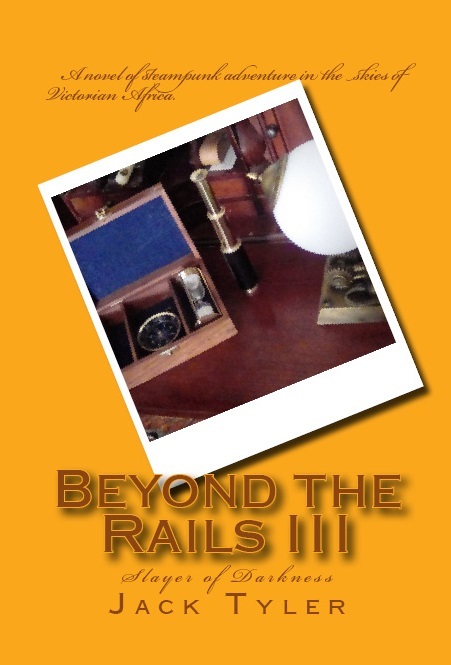 This, of course, is the first story (of five or six) of what will become Beyond the Rails IV. Anyone familiar with my work knows that I'm an old-fashioned writer, in style at least, but I recently learned that I'm old-fashioned in substance as well. A friend of mine recently blogged about an author who was prolific in the golden age of pulps, a literary style that describes me to a T, and he talked about how the pulp writers who depended on prolific output for their living never rewrote anything. I have not been able to find this post again, so perhaps he was shouted down by hostile modern authors, but a statement made therein was that rewriting didn't become a "thing" until the new-age movement made its way to writing in the 1970s, and that all the classical authors your parents have loved since before you were born, from Dickens to Kipling to Poe, didn't rewrite anything. Whether that's true or not, I have no idea, but I'm here to fess up: I don't rewrite either. I will say this about my writing style: I outline my outlines in two and three layers, so by the time I'm ready to write, I've already given deep consideration to what I have to say. As I write, I rarely add more than one scene a day, and before I start the day's writing, I reread what I've written before. During those sessions, I will often change a word or phrase, to strengthen or clarify a point, and in the final proofreadings, which I do multiple times, I will make final adjustments, but what you are reading is essentially a heavily proofread first draft. 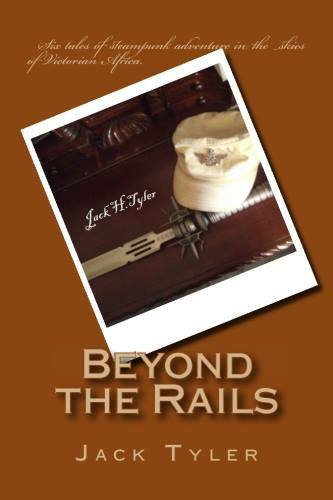 My Beyond the Rails books have been reviewed all over the internet, and unless a bunch of strangers are all lying to make me feel good, that system is working for me. I don't intend to change it. So there I am, as I have been so many times in my life, flying in the face of conventional wisdom. Now that you know that I don't rewrite, do you hate me? Are you going to go back and downgrade your reviews? I hope not, but there you are. It can be done, but I think it's only possible for a planner to get away with it, because we already know where we're going. I'll be interested to see whether anyone has any opinions about this, because among writers in the 2010s, it pretty much amounts to blasphemy. Don't assume malice for what stupidity can explain! Finally, I'd like to direct you to the site of a good friend, one William J. Jackson. William writes the Rail City series of books that I can only describe as "The X-Men go steampunk." If this sparks your curiosity mutation, pay him a visit at The Rail Baron's Blog. He has a special going today on at least one of his e-books, and if you miss this one, not to worry; he does this frequently. Worth a look for steampunk aficionados, which I assume you are if you follow my blog. Okay, class dismissed. Until next week, play nice, look out for one another, and above all else, get out there and live life like you mean it! "This is the moment of embarking. All auspicious signs are in place." Well, the first week of 2018 has certainly been exciting for me, and I'm here to share with those who may have been wondering whether I was ever going to produce anything again. I am. After four solid months of non-productivity, the muse is back. 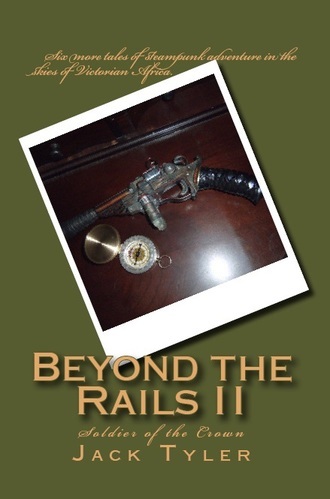 I spent a great deal of time debating whether I should concentrate my efforts on The Nexus Chronicles, The Darklighters, or Stingaree, but when the mutinous old dog returned, he brought with him the first story of the Beyond the Rails IV collection, working title, Family Reunion. If it continues at the present rate, I expect to have at least the first draft up for public consumption on writing.com by the end of February. I'll provide a link at that time for anyone with an interest. Of course, I no longer have my Pollyanna attitude about it; it stopped without warning before, and it could happen again, but one must go forward believing in the best, or not go forward at all. Watch this space for updates. I have to tell you, I feel wonderful, and I hope the early days of the new year have been as generous to you! To a Safe and Prosperous 2018! Happy New Year to friends old and new. May midnight find you happy, and the sunrise find you alive. Have a safe and prosperous 2018!